I am a new old member so to speak, had a couple of accounts on this forum and both were disabled/deleted i guess.. Tried logging in after over a year I guess and the account did not work. 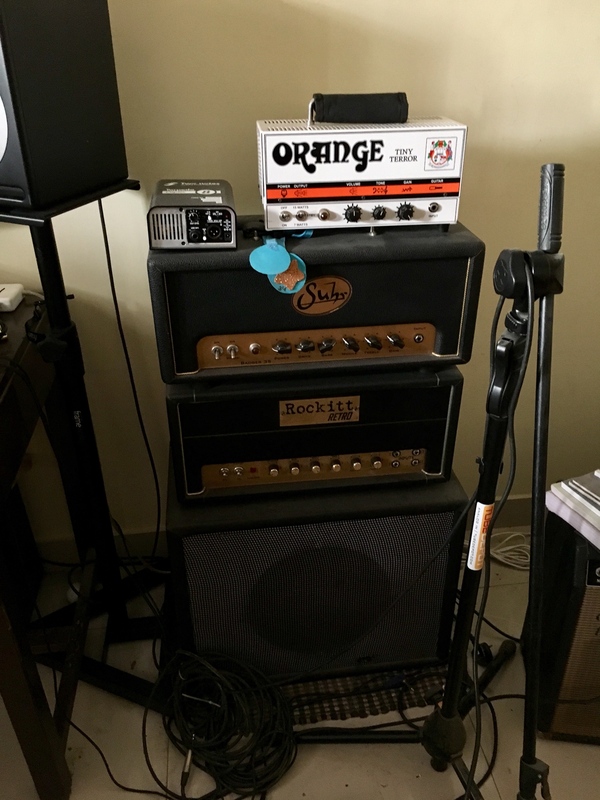 Coming back to the post - I had an Orange OR15 a couple of years ago, loved that amp, but hated it since it had no headroom. Sold it to a friend (regret it now). Had to get a nice little orange amp back into my setup. Got an opportunity to trade an old amp and a bass that i wasn't using for this little Terror. The idea was to hunt for a good Vox AC30 HW, An Orange, A Plexi & a Fender Amp. So far have now found all except the Vox AC30HW. Hopefully will find one soon.